It’s been a while! 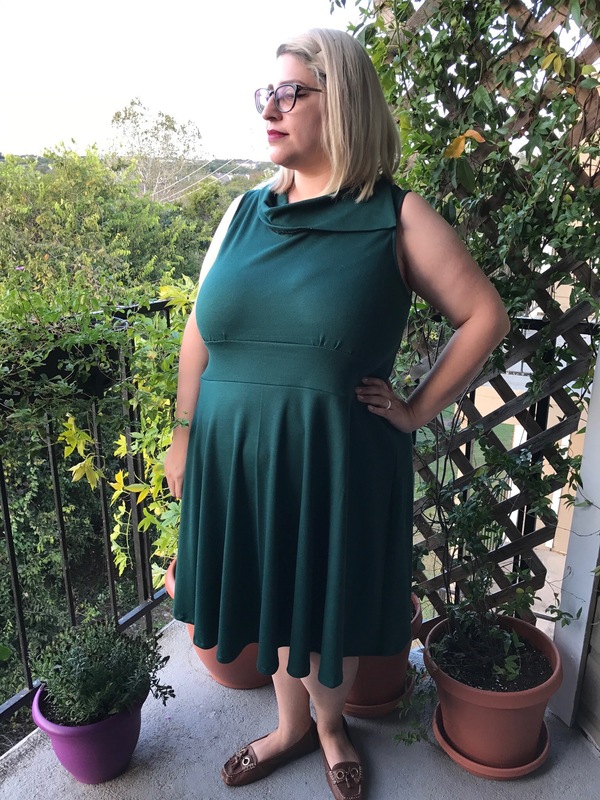 I’m not the best blogger but I enjoy it, so here I am:).Quite a while ago while browsing patterns on Craftsy, I stumbled upon The Verity Dress by Moxie patterns but unfortunately I was out of the size range. Not anymore! 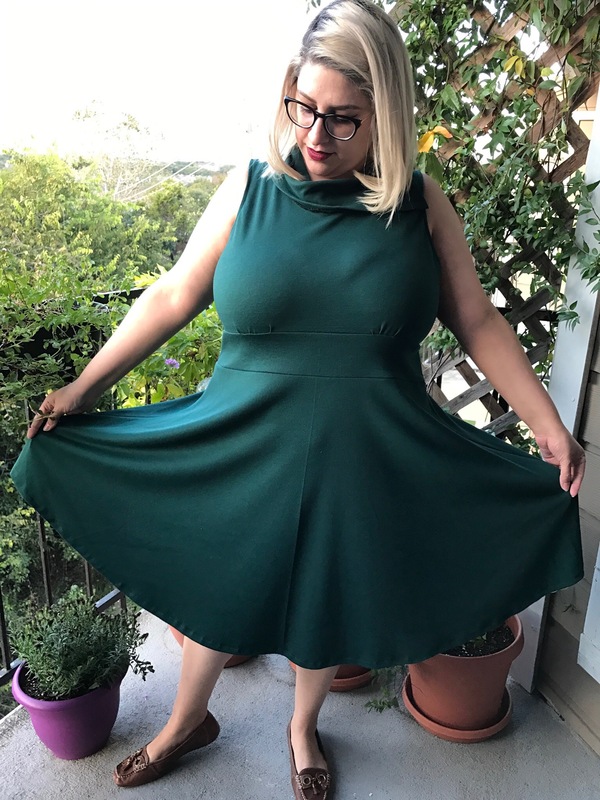 The extended sizes are XL-8X, which is awesome because it’s a great pattern that’s easy to sew. Not too pleased with the bust gathers but the drape of the skirt is so lovely, I could forget about it. I love how comfortable this dress is. 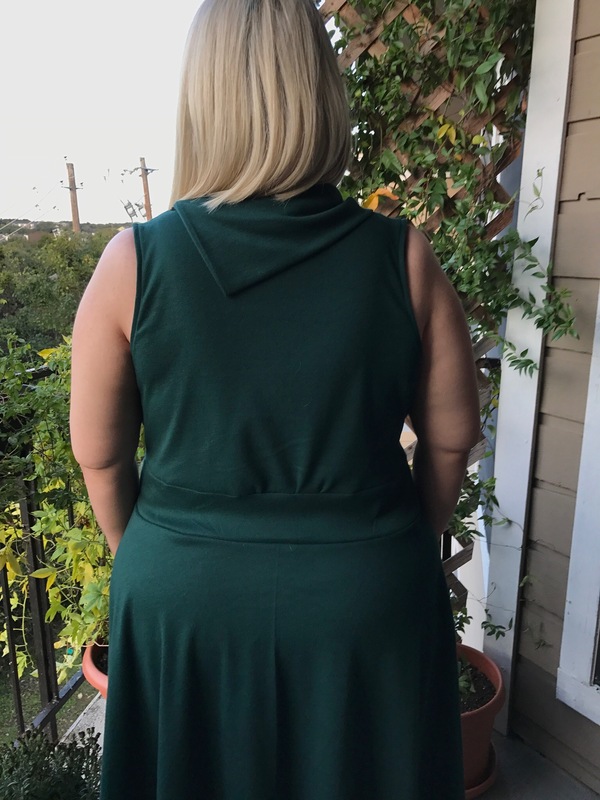 I used a hunter green cotton interlock that I bought at Joann. 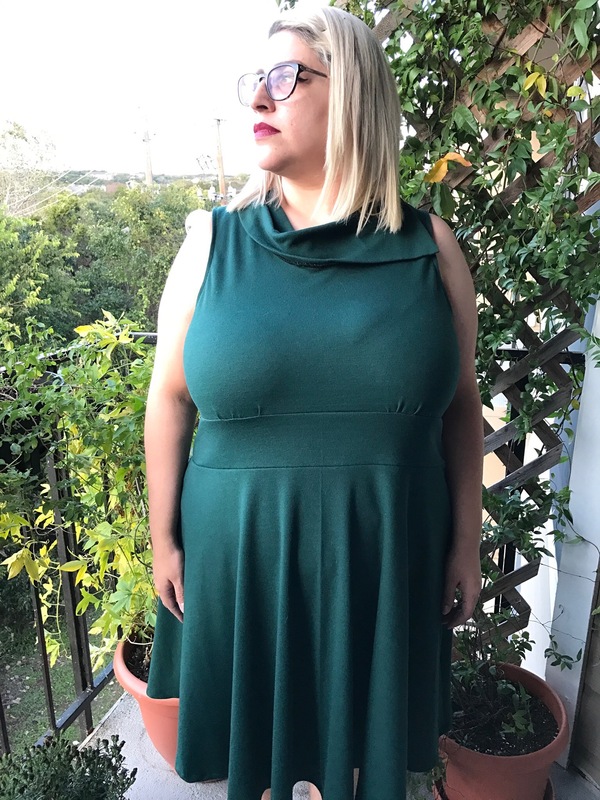 There are other neckline options for this dress but I opted for the split cowl. I intended on using some large wooden buttons for cowl but decided against it. I used size 2x for the shoulders and graded up to 3x everywhere else. The instruction booklet included with the PDF is very detailed, so unless you’re a beginner you won’t really need it. My next Verity dress will have sleeves and a Peter Pan collar. So excited to share it once it’s complete!